Few brands in any industry invest as much time, money and effort in their sports sponsorship and marketing endeavors as Konica Minolta. These extensive and far-reaching marketing endeavors have consistently returned dividends not only throughout its business channels, but for its employees, customers, charities and strategic partners. 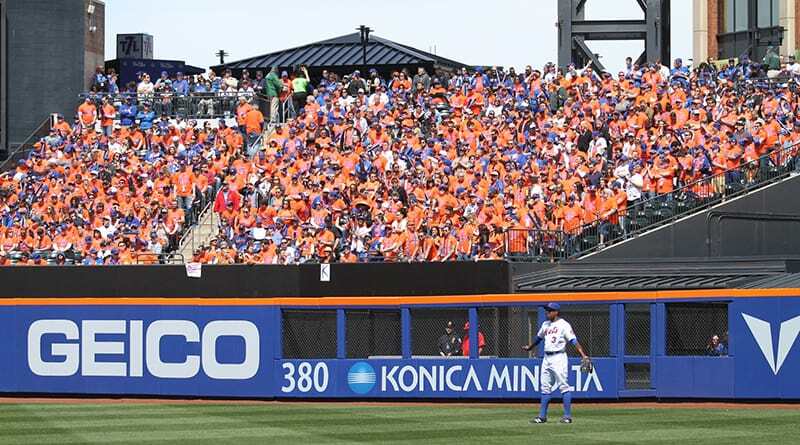 Konica Minolta spends undisclosed millions of dollars annually to spread its message and brand far and wide as part of the $65 billion companies invested last year to sponsor sporting events worldwide. So let’s take a closer look at the who, what, when and why of Konica Minolta’s impressive sports marketing and sponsorship strategy. Currently, the largest partnerships are with the PGA Tour, Major League Baseball and Wayne Taylor Racing, which operates and races the No. 10 Konica Minolta Cadillac DPi-V.R. 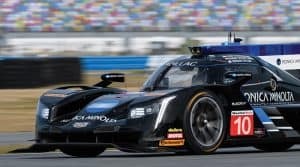 in the fast-growing IMSA WeatherTech SportsCar Championship Series. On the PGA Tour, Konica Minolta’s presence is ubiquitous. 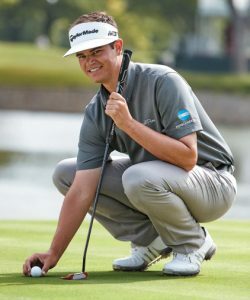 It sponsors and activates private hospitality tents at 10 tournament stops and up-and-coming, 23-year-old professional Beau Hossler wears the company’s logo at every stop along the tour. It’s a major sponsor of nine MLB teams including the defending World Series Champion Boston Red Sox and the New York Mets, as well as several National Football League, National Hockey League, National Basketball Association and Major League Soccer teams. It’s a diverse, inclusive and highly visible mix of A-list leagues and athletes. Aside from its extensive professional sports sponsorship portfolio, the company is sponsoring partner of the Madison Square Garden Company and the Kansas City Sprint Center. Its signage can be found courtside during national television broadcasts of NCAA basketball teams including the University of Kansas, Michigan State University, Georgetown and the University of Southern California. Konica Minolta’s LED signage is quite prominent at the Prudential Center in Newark, N.J.
Konica Minolta is also the title sponsor of specific events for numerous charity organizations including the National Kidney Foundation, the Blue Angels Foundation and the Friends of Golf (FOG), which supports scholastic golfers with resources, equipment and programs that promote character, integrity and fellowship. Amelia Hill, manager of sports marketing and sponsorship, said Konica Minolta takes a variety of metrics into consideration when exploring a potential sports sponsorship. 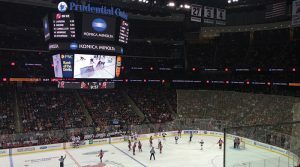 Konica Minolta evaluates the audience, the number of events and the viewership/attendance demographics for each sport or league to determine if a particular sports property fits the objectives of its sales and marketing programs. Accurately measuring the exact return on investment for these sports sponsorship programs can be tricky, but Konica Minolta has developed some pretty obvious and powerful internal metrics to ensure it’s getting the most bang for its sponsorship buck. To this end, Konica Minolta in 2015 partnered with InviteManager to move all ticket attendee data into an online database where the company can capture invaluable customer data to measure ROI. It also pulls quarterly reports to assess the overall impact of their sponsored events to make sure the right customers and customer attendees are using these tickets and enjoying the hospitality suites. This helps track the customer and company sales journey before and after the company-sponsored events conclude. “It’s hard to measure the exact value of our stadium signage throughout the country (as a B2B company),” Hill said. 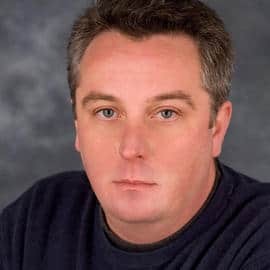 “However, we’ve become and have (remained) a familiar brand in golf through the national TV exposure of the Konica Minolta Swing Vision camera on CBS. “Our partnership and branding with Wayne Taylor Racing and our outfield wall signs at Angel Stadium and Citi Field have kept our brand top of mind and has our customers and businesses in Japan talking about us,” she added. Konica Minolta conducts internal case studies for the VIP experiences its sports sponsorship strategy, essentially building the case for these incredible entertainment and business opportunities while simultaneously benefitting from a sledgehammer of brand awareness to a worldwide audience. This type of access, excitement and privilege is virtually priceless. Maybe it’s no coincidence that for 11 years running, Brand Keys, a client loyalty and engagement consultancy, has ranked Konica Minolta No. 1 in client loyalty and brand engagement in the MFP Office Copier category. Clearly, a great deal of this customer stickiness is a reflection of its top-quality products and customer service, but the sports perks surely can’t hurt. It’s not a bad deal for employees, either. In May, the company launched its “Last Call” program, giving its 8,000-plus employees the ability to view the entire sponsorship roster and then submit their name and event preference for a chance to scoop up unused customer tickets or win a random drawing to attend a game or tournament. 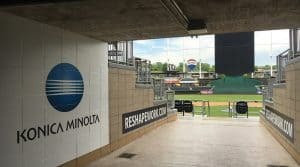 “Whether it’s experiencing a Konica Minolta sporting event firsthand or seeing our brand and name mentioned on national TV, we’ve created a following through all of these sponsorships that promotes excitement across all channels of business,” Hill said. 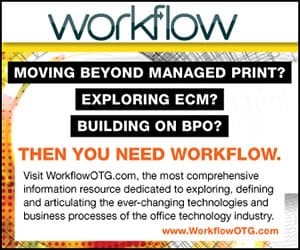 ← New to Copier Sales? What’s Going on In Your New Industry?